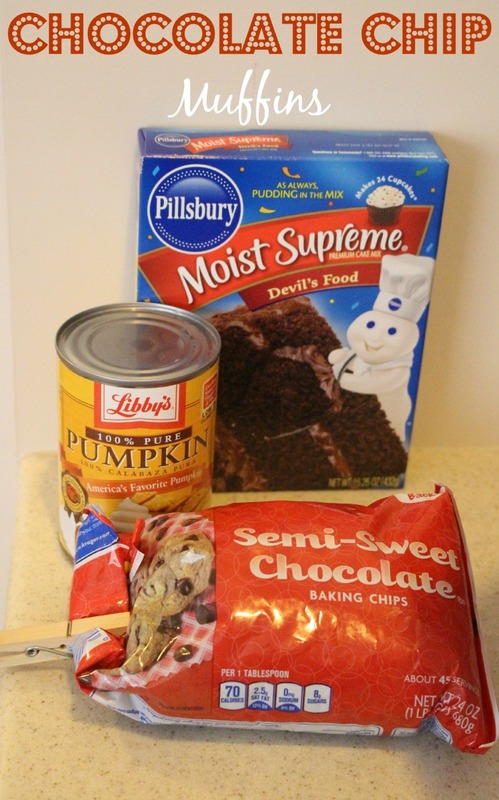 One day, I decided to rummage through my pantry on a quest to cure my sweet tooth. I walked in and all of a sudden my FitBit on my wrist buzzed. It was only 4pm and I had already hit my step goal for the day! Except...now my sweet tooth felt a bit guilty! So I decided to try a "healthy" treat recipe I had once heard about at a Weight Watcher meeting. I don't often have boxed cake mix in the pantry, but on this day I happened to have a box of Devil's Food. I ended up choosing this because it only needed 3 ingredients. I also had a can of pumpkin puree and some semi sweet chocolate chips. This is so simple and quick, and I honestly believe you canNOT taste the pumpkin! 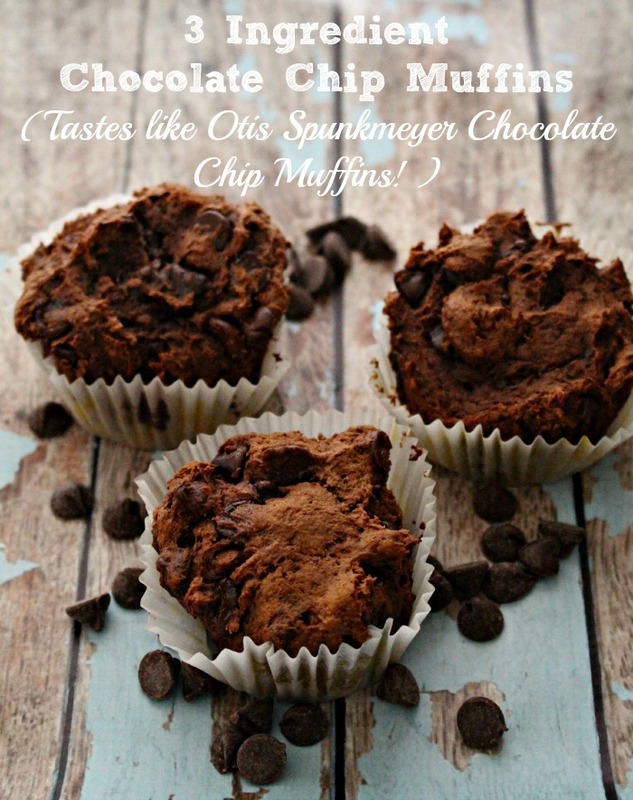 BTW, if you keep them covered, the next day they taste just like an Otis Spunkmeyer Chocolate Chip Muffin! My fave! Mix all of the ingredients together. Pour the batter into 24 cupcake liners (you might want to spray the cupcake liners with cooking spray since this batter is THICK and might stick) using (2) 12 ct cupcake tins. 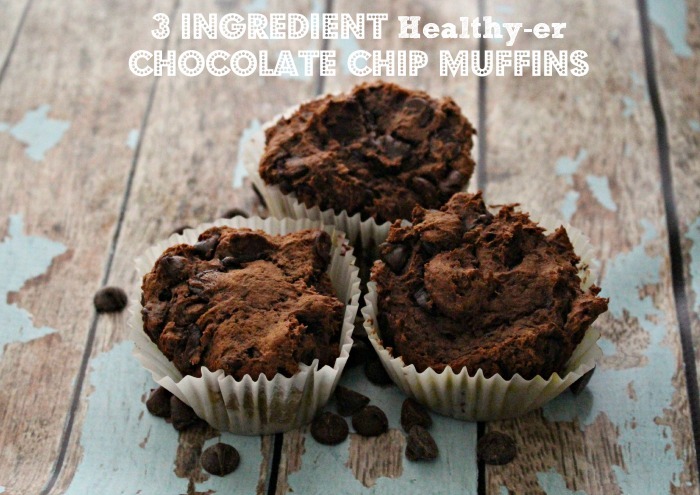 why are the cupcakes/muffins mis-shapened in your photo? The batter is thicker and they don’t rise as “smooth” as regular cupcakes would. Sounds good – but do you know how many calories for each? That equals 1175. Didvide that by the # of muffins you get from the mix. I got 20 muffins so they are basically 58 calories each. I assume you don’t add the egg and oil or water to the cake mix as it requires? Thanks! I added a half can of water- using the can from the pumpkin. Turned out neater but I’m wondering what the texture is like not using it. I got 40 muffins. Were they light and fluffy? 40 muffins is a lot! Were they full size? Definitely not eat the whole pan good. But better than by the box instructions!